The Suzuki Alto or kei car is a small car that has long appealed to many people because of its good fuel economy and low price. 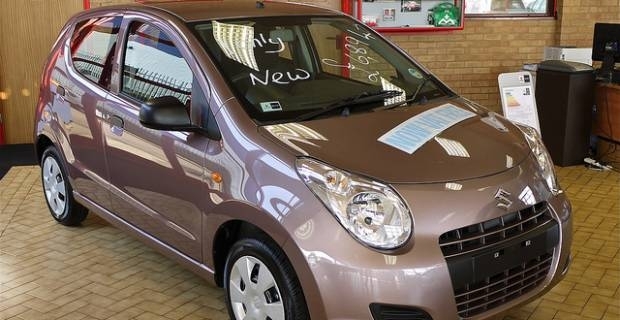 The Alto models manufactured by Suzuki are now in their seventh generation and they shows no signs of letting go of their appeal to a significant category of drivers. The first generation of the Alto was introduced in 1979 and has had relatively good reception in Europe since then. The new Suzuki Alto is not only comfortable, but also safe to drive. It comes in 4 versions: Hatchback 1.0 SZ 5dr (£7,195), Hatchback 1.0 SZ3 5dr (£8,545), Hatchback 1.0 Play 5dr (£9,115) and Hatchback 1.0 SZ4 5dr (£9,345). This compact car has five doors with more space for the driver and passenger as well as vital airbags and an Electronic Stability Program (ESP) for your total peace of mind. The front airbags are included for the driver and passenger. The 3.5 metre long car is highly manoeuvrable with a 9 metre turning circle. This makes it easy to park in tight spots and perfect for nipping around urban streets. With a 1.0L fuel efficient engine, the car makes for a good, low cost running city car. For a compact car, the Alto is appealing to the eye as it is appealing to the pocket. It comes with up to 367 litres of luggage space and gives you space to carry most of what you need on your journey in its handy storage pockets on all four doors and the side dash storage pocket on the passenger side. Its rear seats fold flat to provide a little more extra carrying capacity. Additionally, it has two front cup holders and two rear bottle holders. The car produces just 99g/km CO2 emissions and is, therefore, quite friendly to the environment. The Alto has a tiny boot with no external boot release handle and with a high lip. Its rear windows don’t wind down and its cabin plastics are poor. Its steering is also a little heavy at parking speeds and it has a noisy engine that is not helped much by the car's poor sound proofing. It gives an insipid performance, jarring ride on rough roads and has a budget feel to it. The Suzuki Alto looks good, is economical to run and cleverly practical for a compact car. This car's low fuel consumption and CO2 emissions means it comes with low road tax. Alto models actually fall in the Government Vehicle Excise Band, making them road tax free for the first year. While you can get more refinement in competing small car models within the Alto's price range, the Alto is still a functional, comfortable, low-cost small car that slips really well in traffic.